There is nothing like the warming effect that sunshine has during the fall and winter months. And as I worked up this design, I realized the texture of the Sundial Hat reminds me of the shadows that a sundial would create. It’s just enough texture to make it amazing, without making it too difficult. I never wear hats and I’m keeping this one for myself! 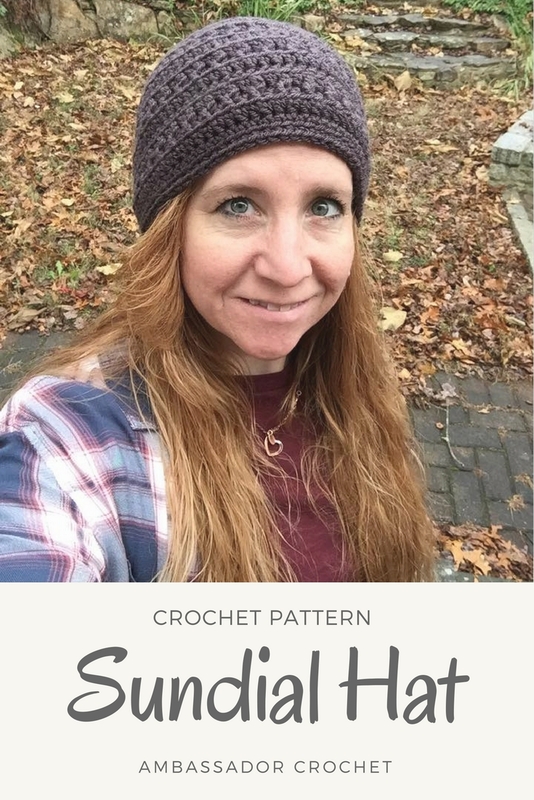 The Sundial Hat pattern uses #4 worsted weight yarn and an I hook (or whatever hook will match gauge). The pattern is rated advanced beginner because of post stitches and the mix of stitches. I’ve made 3 or these so far – 1 for myself and 2 for my daughter’s A Heart for the Homeless: Mission Hats & Scarves collection that she’s working on. And I’m going to be making more. It’s my new favorite pattern! Use coupon code 10THANKS at checkout (Ravelry only) to receive the pattern for only $1.00. Sale expires at midnight on 11/19/2017.